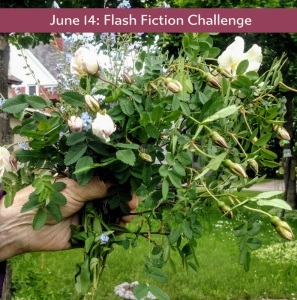 June 14, 2018, prompt: In 99 words (no more, no less) write a story that includes a bouquet. You can explore the meaning of the word or gather a bunch of flowers. Go where the prompt leads. This entry was posted in #flash fiction, blogging, Challenge and tagged #flash fiction, Carrot Ranch 99 word challenge. Bookmark the permalink.